Product prices and availability are accurate as of 2019-04-03 05:38:01 EDT and are subject to change. Any price and availability information displayed on http://www.amazon.com/ at the time of purchase will apply to the purchase of this product. There is nothing more delicate than the skin of a newborn baby, which is why you need to be careful at all times. This is even more important if your little one has diaper rash, cradle cap, or suffers from baby acne or eczema. And that's why we created our super-soft organic washcloths, which get softer and softer the more you wash them. Because your baby is so precious, our organic washcloth is made from all-natural, organic bamboo fibers that won't scratch or irritate. We don't use any dyes or other artificial chemicals either, which means our bamboo towels are hypoallergenic too. And as an added bonus, our bamboo towel is anti-bacterial and anti-fungal. 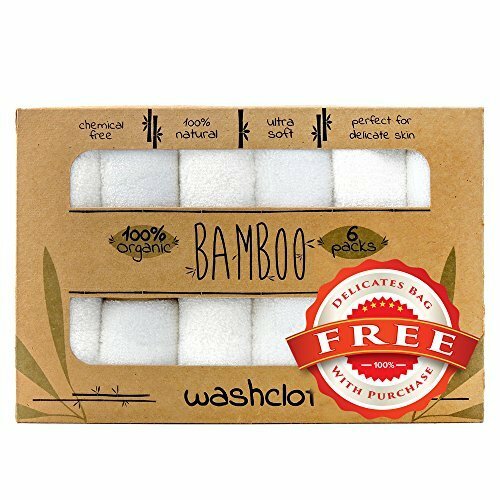 But this organic wash cloth is also lightweight, so you can carry one bamboo cloth in your diaper bag, or a couple bamboo cloths in your car, for whenever the need arises. If you're looking for an ideal baby shower present, then look no further - our soft washcloths are a practical and thoughtful gift that every mother will appreciate. Don't know whether it's going to be a boy or a girl? No problem - our bamboo bath towels are gender-neutral - three of the cloths are pure white and three are off-white. We care as much about the environment as we do about your baby, which is why we chose to make our washcloths from bamboo, the world's fastest growing plant. So as well as being sustainably sourced, they're also biodegradable. THE MULTI-TOOL OF MOMMY GEAR - These baby washcloths are obviously for bath time but can be used also as a super absorbent burp cloth, face cloths or even a reusable baby wipe. They are also easy to wash and fast drying so you can keep baby clean. Keeping these washcloths handy make you ready for almost all of baby's unexpected surprises. 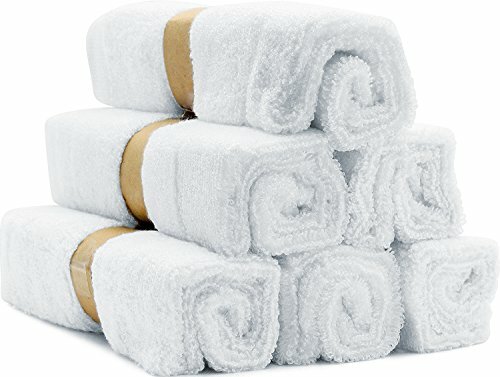 SOFTEST WASHCLOTHS EVER - Your newborn's skin is highly sensitive, especially if they suffer from cradle cap, baby eczema, acne, or diaper rash, so you need bamboo wash cloths that won't scratch them or make irritated areas even worse - which is why our washcloth is smoother than the proverbial baby's bottom. ORGANIC, ALL-NATURAL AND HYPOALLERGENIC - Made from 100% bamboo rayon, we use no harsh dyes or other harsh chemicals in our organic baby washcloth, which means the risk of them triggering any unexpected allergies is minimal. Our organic baby wash cloth is hypoallergenic because nothing matters more than the health and well-being of your child. THE LARGEST SIZE YOU'LL NEED - Don't be fooled by other sellers claiming to have large washcloths but no size is stated. Our baby washcloth is a generous 10 inches x 10 inches (25.4 x 25.4 cm), so you can use these for infants, older children as well as adults. 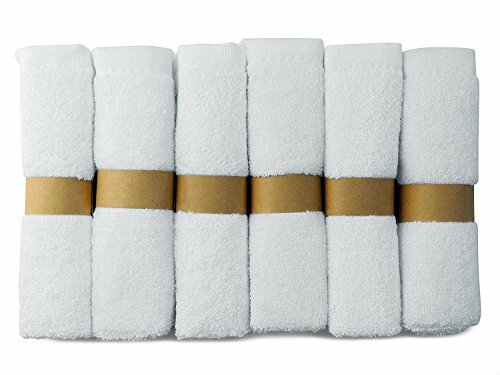 This six-pack of pure white washcloths is the perfect size! WHY A FREE WASH BAG? 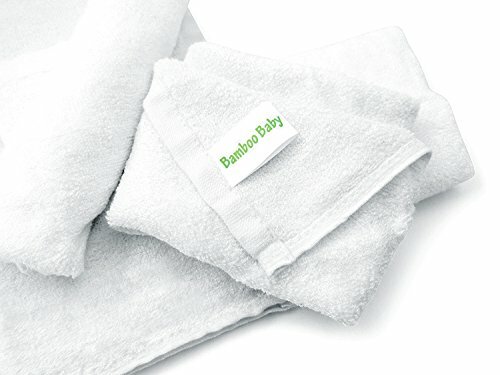 - Bamboo baby wash cloths are more delicate than other washcloths and when washed with hardy fabrics we have found that customers complained about these delicate washcloths tearing. 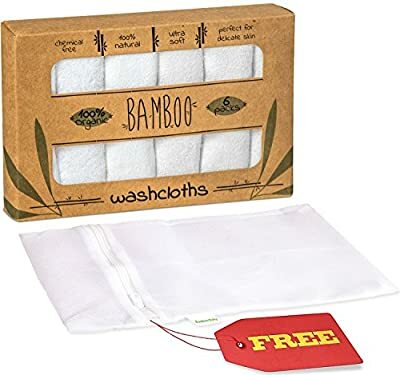 We want our customers to have the best experience possible so our bamboo washcloths come with a free wash bag so you won't ever be disappointed.